There are few things more satisfying than interior design. Once a property is yours, the temptation to immediately set about redesigning the entire place and giving it a theme you like is overwhelming. Walls need colour, furniture needs to be installed, and decorations need to be added; pieces need to be sourced from reputable companies such as DIY Homefit, paints need to be chosen, and wall art needs to be carefully coordinated. When it’s all done, though, there’s no better way to make a home truly feel like yours than to completely renovate its interiors. It’s not easy to do this, though, and there’s no guarantee you’ll love what you’ve done once you’ve finished. For this reason, it’s a very good idea to use interior design software to plan and visualise a room before you finalise it. There are plenty of different software packages available on the market to help you do this, and it can be difficult to know where to start with them. Here are some of the best pieces of interior design software to help you get started on your journey. Simply put, Virtual Architect is the best interior design software available right now. This fully-featured, comprehensive and beautiful program allows you to fully design and inspect rooms in a 3D space, so you can visualise that perfect bedroom before you start to build it. Virtual Architect has a massive object library of over 7000 different furniture pieces and adornments, so you’re bound to find what you want to place in your room. No prior design experience is necessary whatsoever; the program has an incredibly simple and intuitive user interface, and there’s a host of video tutorials available to help you with the more tricky aspects. 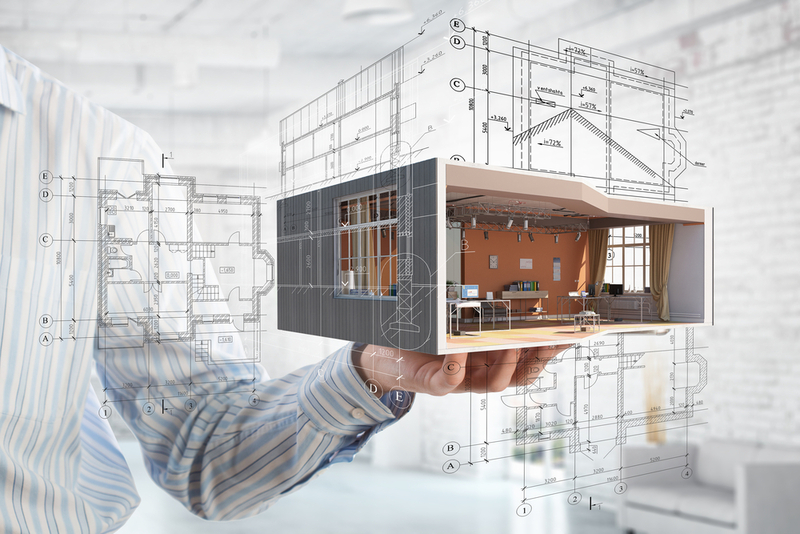 Virtual Architect also allows you to plan out potential extensions and landscaping projects in addition to interior design, so it’s a perfect choice for those looking to completely transform their home. There are three tiers available -Professional, Ultimate and Platinum, each of which is respectively cheaper and offers fewer features. We’d strongly recommend you plump for the Professional version, though. Punch Home & Landscape Design offers the best experience for those who are already a little more well-versed in interior design. It’s a slightly more fully-featured package than Virtual Architect, but that comes with the caveat that it’s also a little more difficult to use. Like Virtual Architect, Punch offers the full range of room customisation, as well as landscaping projects and other outdoor functions. Unlike Virtual Architect, the help available is a little less than comprehensive; the folks at Punch assume you already have a little nous in this area. Still, it’s not too hard to find video tutorials elsewhere, and the interface is still top-notch, sporting drag-and-drop functionality that makes rooms easy to assemble and view. It’s also possible to export your designs via CAD, so this is the best option for professionals. The significantly smaller object library (4500) gives Virtual Architect the edge, but Punch is a very, very viable option indeed for pros and amateurs alike. Unlike the other software we’ve talked about so far, Home Designer Interiors is focused solely on interior design, forgoing the ability to design outdoor landscapes and other DIY projects. There is a fully-featured suite available, but we think the Interiors package offers more than enough for the budding designer, so we’ve opted to list that instead. Home Designer Interiors offers its users full virtual tours, so you can wander through the home you’ve created and experience it in a live environment. This is, of course, in addition to the vast range of objects and features available which are common to this kind of program. Interiors offers the best interior design modeling of all the software we tried, and its lower price makes it a shoo-in for those who are already happy with their home’s exterior. With bedroom, bathroom and kitchen designs available, this one’s an excellent choice for full interior remodelers. Finally, we come to the best budget interior design software on the market. TurboFloorPlan Home and Landscape Deluxe won’t trouble the other programs on this list for sheer power or features, but what it lacks in complexity it more than makes up for with a low price point and an emphasis on user-friendly design. TurboFloorPlan Home and Landscape Deluxe offers users professionally-designed templates to give them an edge in their home design, which is perfect for those who aren’t too familiar with the process yet and need a bit of help or nudging in the right direction. There’s also a QuickStart function in case you don’t want to mess around with overly complex settings and sliders and just want to get straight into design. The Training Centre included with TurboFloorPlan rounds off this excellent beginners’ package. These are just four of the best interior design software packages available right now. If you opt for any of these, you can’t lose. We wish you the best of luck in your quest for the perfect interiors! Next article GeoSuite – Makes everything easier!